Preparation: Produced in BALB/c x ICR F1 mice immunized with highly pure Recombinant Human Eotaxin-3 (CCL26). 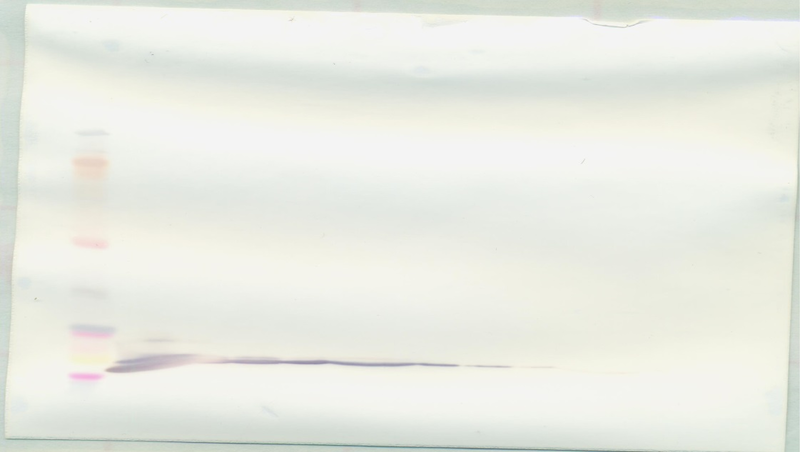 Anti-Human Eotaxin-3 (CCL26)-specific antibody was purified from ascites fluid by Protein A affinity chromatography. Sandwich ELISA: In a sandwich ELISA (assuming 100μl/well), a concentration of 1.0-2.0 μg/ml of this antibody will detect at least 1000pg/ml of Recombinant Human Eotaxin-3 when used with PeproTech’s Biotinylated Antigen Affinity Purified Anti-Human Eotaxin-3 (CCL26) (500-P156GBT) as the detection antibody at a concentration of approximately 0.25-0.50 μg/ml. 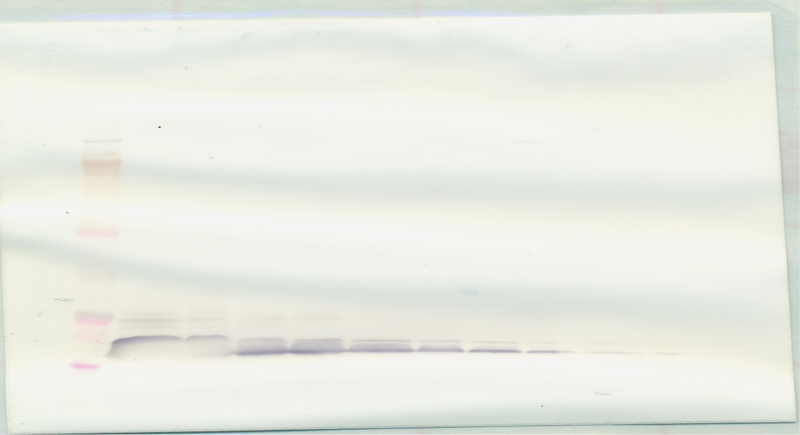 Western Blot: To detect Human Eotaxin-3 by Western Blot analysis this antibody can be used at a concentration of 0.25- 0.50 μg/ml. 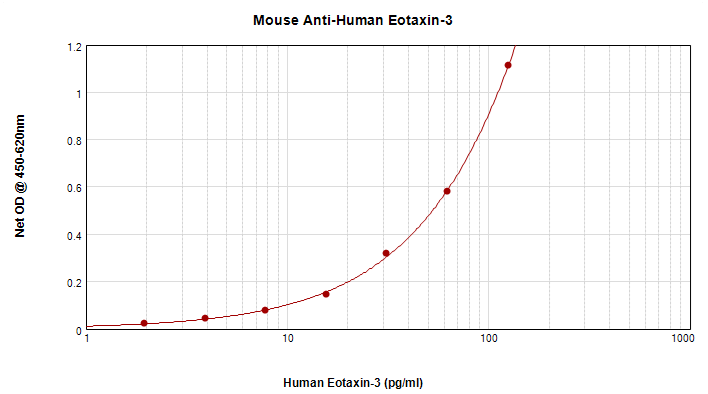 When used in conjunction with compatible secondary reagents the detection limit for Recombinant Human Eotaxin-3 is 0.25-0.5 ng/lane, under reducing or non-reducing conditions.